We have heard so many excuses by those attempting to justify themselves who took part in the riots. My favourite was “I’m taking my taxes back.” However the millions of other taxpayers didn’t resort to take violent action. The country had practically been brought to a complete standstill, people lived in fear for the last week, watching the news ever other 10 minutes to see if the violence had cleared up or was moving to them. 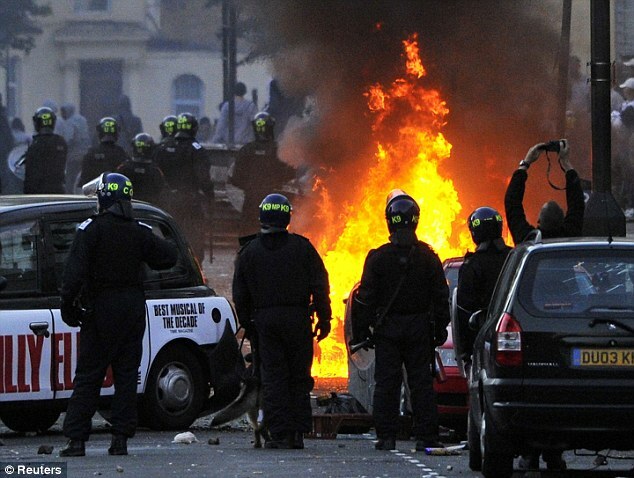 This was mainly the negative effect of the riots. Nonetheless whilst I do not condone the violence for whatever ridiculous reason, I have noted that there were positive effects too. From the 9th August, our country had been brought together to clean up the mess left by those who took part in the riots. Clean-Up London proved very effective, bringing all members of the community together, this time they were armed with a brush, sending a strong message to the rioters that they would not win. After over 1000 arrests this has been proved true. It wasn’t just London ’s communities that were brought together; Birmingham too was a notorious example. Christians, Muslims, Hindus and Sikhs stood side by side at the height of the violence and unfortunately 3 people lost their lives. I am sure that their deaths will not be in vain. They are martyrs for society. In fact all over the country people of different religions, races, ages and political support stood together to protect and preserve this nation. This emphasises my main point. Whatever they may think about the Big Society, they have just strengthened its cause. However this time it was without the direction of two-faced politicians pushing the agenda. People of different beliefs brought themselves together, united by a simple common goal of security and stability in society. We alone have created the blueprint for the “Big Society” without politicians jumping on the bandwagon spin-doctoring the riots in order to save face with voters and using for political points. That is the sort of society that I am proud of and wish to live in. Different beliefs can live together in harmony. We must tolerate those who do not share our personal beliefs whilst we must remain intolerant to those who are intolerant. We do not need Big Society banks or Big Society projects. In the last week we have volunteered and we have begun to put the pieces of Broken Britain back in place.